When the winner of the 2016 Nobel Prize for Literature was announced, people were swayed with surprise. It is the first time that a singer-songwriter was awarded this glorious prize. Bob Dylan was likened to a poet that brought up the lyrics of a song to another level. Although there still is controversy among people who disagree about whether the Nobel Prize for literature can be bestowed to a professional singer, Bob Dylan’s songs and their beautiful lyrics have been in the spotlight once again. Along with this new wave of popularity, Bob Dylan’s autobiography Bob Dylan Chronicles Volume One (2004) also has been gaining much attention, climbing up the bestseller list of various bookstores. Born on May 24, 1941 in Minnesota, Bob Dylan is an icon of the era, and his influence reaches far beyond his contemporaries. Even in modern times, his name would certainly sound familiar to young people of the 21st century even though his songs may not be. His music is based on folk music, and his lyrics are known to reflect a concern with social issues of the day. “Blowin’ in the Wind,” “Knocking on Heaven’s Door,” and “Make You Feel My Love” are some of his well-known songs that contain both depth in messages and simplicity in the melodies. 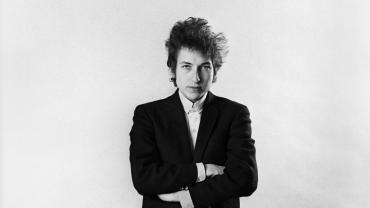 The name Bob Dylan symbolizes truthfulness, youth, and innovation. His innovative disposition made him dive into a new genre of music that uses electric guitar, which was unprecedented and was denounced by contemporaries. However, this born anew everyday attitude is what set him apart and made him an artist with a fresh perspective. Numerous musicians after him could not avoid his influence, and professionals of other fields such as Steve Jobs were also affected by his music, and more importantly, his philosophy. By reading his autobiography Bob Dylan Chronicles Volume One, readers can get to know Bob Dylan in a much more personal way. Through his honest words that minimize flowery language, his music and his personal life come alive. One can easily spot his passion for folk music, and how he interpreted the contemporary music scene that included genres like modern jazz and radio pop. The vibe of 60’s and 70’s New York flows throughout the book; one can soon become immersed in this era, thinking about the same issues that he was concerned about. The appeal of this book lies in its humble and unsentimental sentences that best show Bob Dylan’s philosophy and attitude towards life. He was not someone who utilized music to achieve fame and neither did he think music was easy. “Sometimes you just want to do things your way, want to see for yourself what lies behind the misty curtain. It’s not like you see songs approaching and invite them in. It’s not that easy. You want to write songs that are bigger than life.” He was always sincere and serious when it came to music, and that is why his words touched the hearts of so many people around the world. He had profound interest in his own time, the past, and the future. There is an anecdote of him reading through the newspapers of 1855 to 1865, just out of curiosity. He also was deeply influenced by literature, singers like Woody Guthrie, and classical music. His keen interest in this world made him write songs that hoped for a better future and become a poet that sings. Regardless of him being a Nobel Prize winner or not, his life and his music are worth being remembered. Readers cannot help but anticipate the remaining two volumes of the chronicles to be published after reading this book.